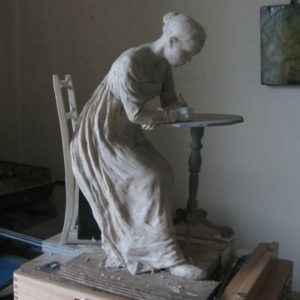 I am making a sculpture which I feel is most suited to commemorating our great writer in the act of writing one of her novels. 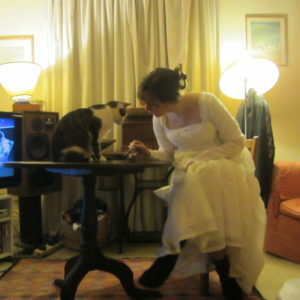 The dress is from a period copy, and the furniture I’m basing on that used at her home in Chawton, Hampshire. 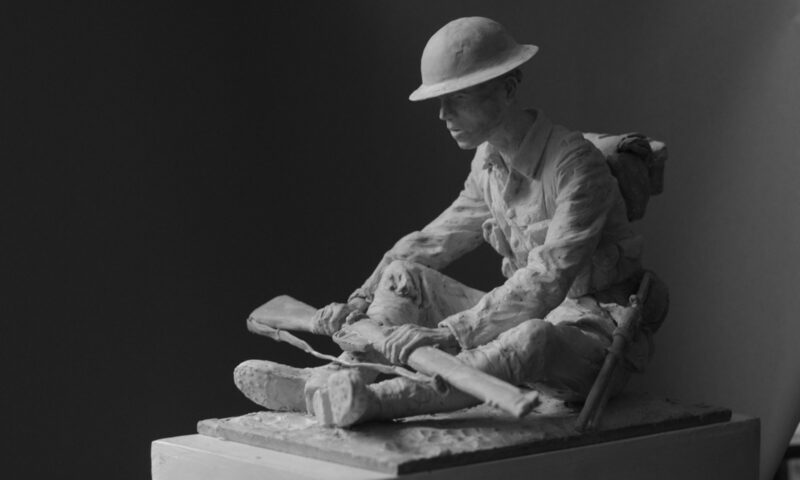 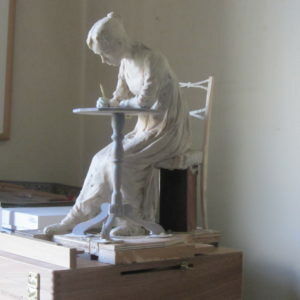 It is anticipated to be finalised soon and cast into bronze during this years commemorations.